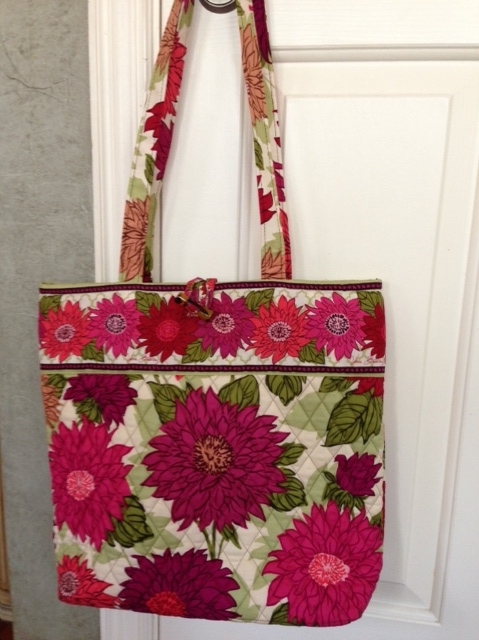 Isn't this a pretty Vera Bradley bag? I sure think it is! Some months ago I admired it when a friend came to my house for Bible study. Today she came to my house for a baby shower and gifted me with her bag! She remembered I liked it and now wanted me to have it. I could not believe it and was touched by her kindness! In fact I had tears as I tried to thank her. I do hope she knows how much it means to me! I will love using this bag and always think of her as I do! hmmmm..wonder if I could get her to come and have Bible study at MY house!!!! yes, it is lovely..